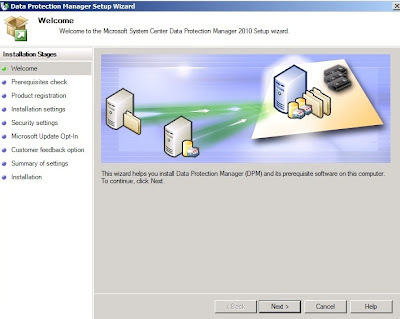 Last month, Microsoft has released DPM 2010 Beta as the Microsoft backup and recovery solution for Windows customers. For those who're interested, please download from http://go.microsoft.com/?linkid=9686964 . 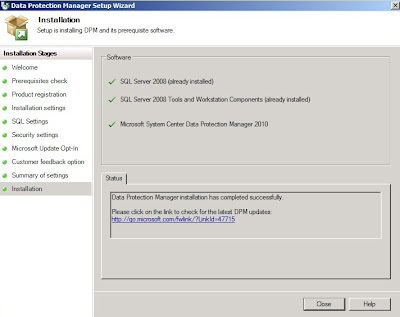 I'm going to use DPM 2010 for Hyper V disaster recovery solution in my next upcoming article. 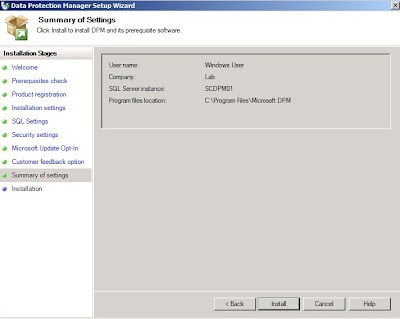 For existing DPM 2007 customer, in order to support backup and recovery for Hyper V, make sure that you've upgraded to SP1. 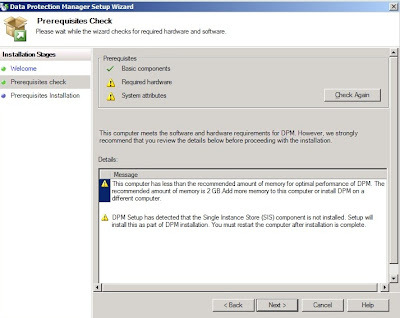 Let start by looking into DPM 2010 installation. 3. Welcome screen appear.Click next to start the wizard. 4. The Wizard will run the pre-requisite check. 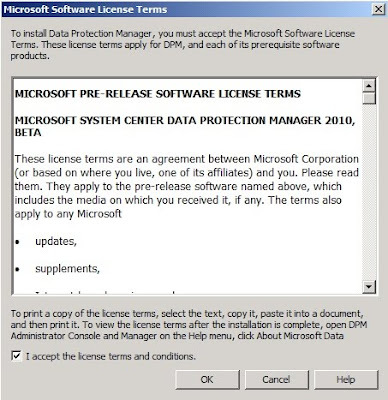 Make sure you've install all the pre-requisite software as listed above. 5. Enter the product registration. 8. 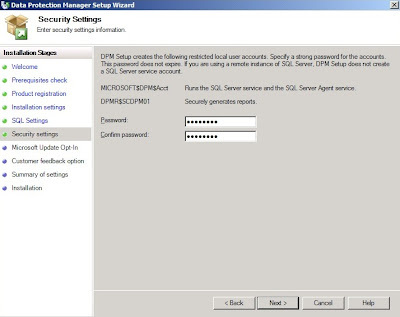 On the Security Settings page, specify and confirm a strong password for the restricted MICROSOFT$DPM$Acct and DPMR$ local user accounts, and then click Next. 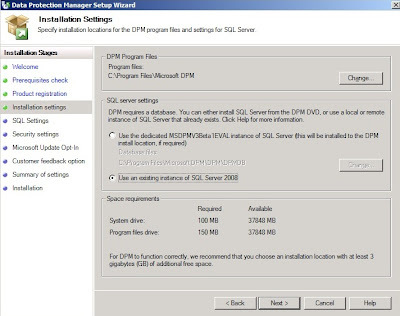 For security purposes, DPM runs SQL Server and the SQL Server Agent service under the MICROSOFT$DPM$Acct account, which DPM Setup creates during the DPM installation. To securely generate reports, DPM creates the DPMR$ account. 9. 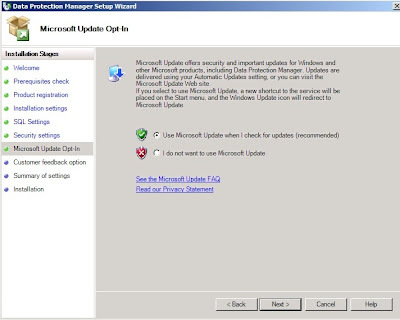 On Microsoft Update Opt in, specify Use Windows Update to get the update. 10. 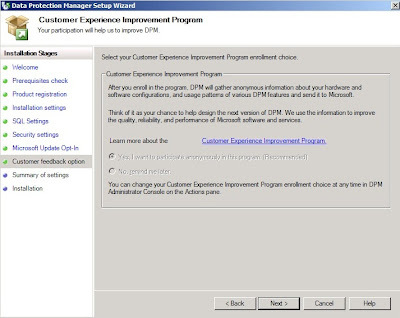 Click next on Customer Experience Improvement program. You can't change this option as the option is dimmed. 11. Review the summary of the settings. 12. 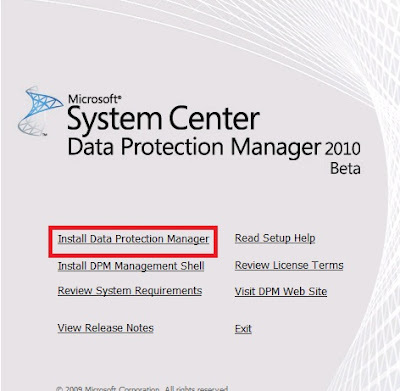 The installation of DPM 2010 will start. Wait until the screen below appear. The installation is complete. 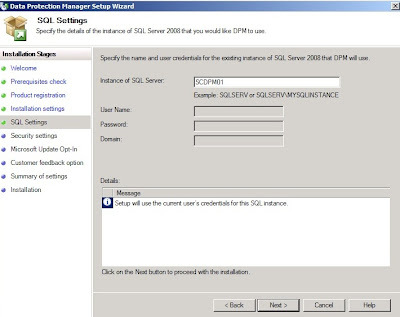 Please restart the DPM server before configure additional setting. 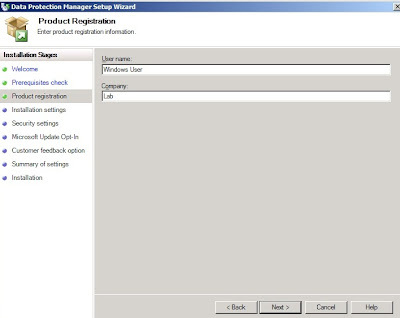 Stay Tuned for DPM 2010 configuration before start to protect Hyper V server.